What are you up to this weekend? I’ve finished the first draft of my Secret Brighton guidebook so I’m going to a local festival to swig GnTs. For now, I thought it high time I put together another round up of amazing things from the internet. Enjoy! Shell vase. And it’s on sale for £6! Mrs Thomson of Elgin Park, Pennsylvania with her world record breaking giant potato. 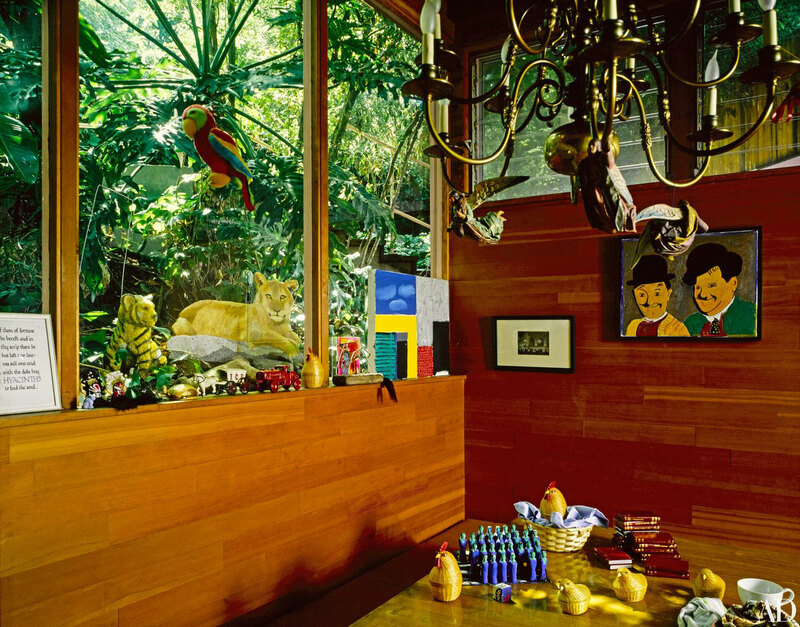 Inside Hockney’s colourful LA home – A 34-year-old piece from Architectural Digest originally published in April 1983. A pretty mermaid bikini by Kate Pugsley. featuring 100 looks from the 90s designer’s archive, from hippies, mods and punks to surfers and school girls. Welcome to El Fenn, the most Instagrammable and luxurious riad, in Marrakech. Barefoot Bardot and boyfriend. Always effortless. Pork buns from Brighton’s newest Vietnamese street food restaurant, Holy Phok! Instagram’s most adventurous mermaid – incase you missed it. A Bird Ballet, a beautiful murmuration of starlings, by Neels Castillon. Top photo by India Hobden’s Instagram.